Newly-liberated with productive farms and an education system that was the envy of its neighbours, Zimbabwe in the early 1980s was a land of plenty. Within one person's childhood all that changed. 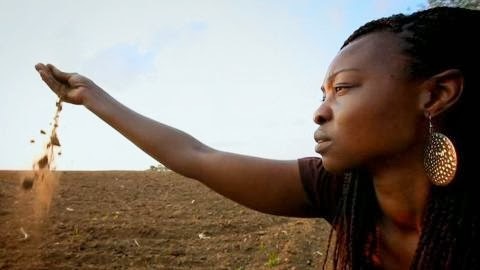 Filmmaker Tapiwa Chipfupa returns to the country of her birth to understand why the catastrophe happened. Guided by a box of old family photographs and phone calls to her parents who are in exile in the UK, she traces the story of her family's life across Zimbabwe and the parallel story of the decline and collapse of the country. Told from the perspective of a middle class African, this is a story of remembrance, of coming to terms with exile and change, and a reminder of the need to guard and protect hard-won freedoms. Tapiwa Chipfupa: "The film was very challenging for me because it was a deeply personal and emotional journey. It was difficult to accept that none of my family were there and to see what had happened to the places where I grew up, to see what has become of the country of my childhood. But it was very rewarding in the sense that, like so many others, I had reached a place of acceptance with what it is today and had somehow forged a way forward."